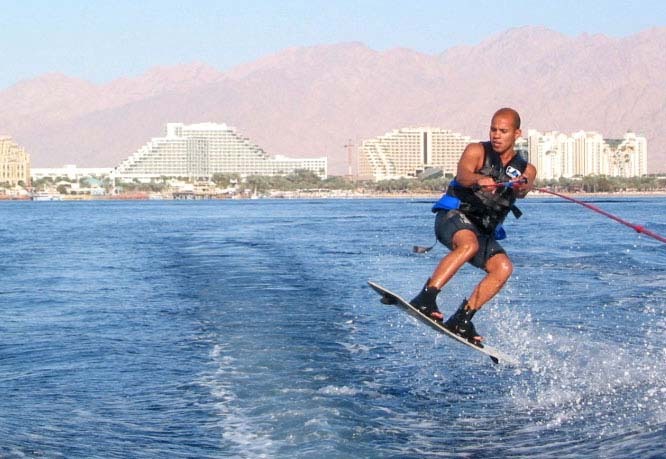 The Gulf of Aqaba (also known as The Gulf of Eilat) is the northern most point of the Red Sea, its particularly calm waters, coral reefs and marine life make it a popular attraction with visitors to the region. 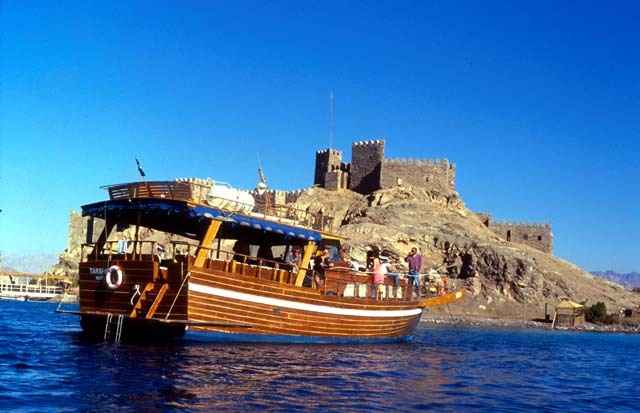 The private 4 hours, one and two-day cruises provided by Desert Eco Tours on this stretch of the Red Sea offer a delightful opportunity to completely relax and enjoy the beautiful views both above and below the water, during a leisurely sailing cruise. The vessel, on which we sail is a beautiful wooden combined sail and motorboats- Tarshish & Shunit, They have accommodation cabins, bathroom facilities, a salon and a kitchen. The boats are equipped with diving equipment for groups who wish to dive. The spacious deck to the front of the boats is laden with mattresses for sunbathing or just lazing and listening to soft music and gentle waves lapping against the boat's bow. On the rear deck of the boat is the open lounge / bar area where buffet meals, snacks and drinks are served. The skipper of the Tarshish, Avi, has been operating cruises in the Red Sea for fifteen years he is assisted by a hostess who caters for the guest's needs. During the cruise you will explore the areas beautiful coral reefs and their multitude of marine life. For those who wish to take their cruise a little further, a short sail from Eilat takes us to the enchanting 'Coral Island' just off the coast of the Sinai Peninsula. 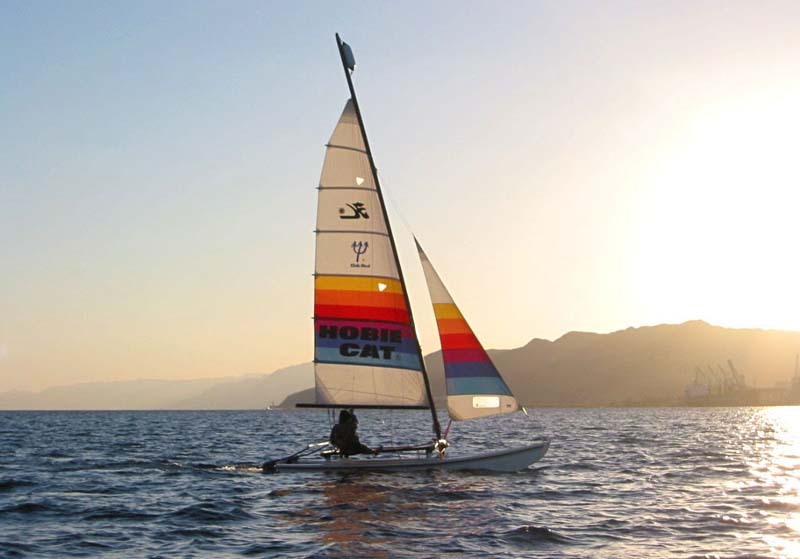 Groups who wish to 'Cruise Eilat' with Desert Eco Tours may opt for one of our 'Holistic Treats' to be included in the voyage. The combination of tranquil sailing, calm seas and breathtaking views make a beautiful environment for a gentle beginner's session in either Yoga or Tai Chi. The cruise price includes all meals, drinks and snacks. Snorkel equipment is also provided. Half day Cruise- up to 6 people $700 in total. Incl. excellent lunch. 1 day Cruise- up to 6 people $950 in total. Incl. excellent lunch. 2 day Cruise- up to 6 people $1850 in total. Möchten Sie mehr über Touren nach Ägypten und den Sinai erfahren?